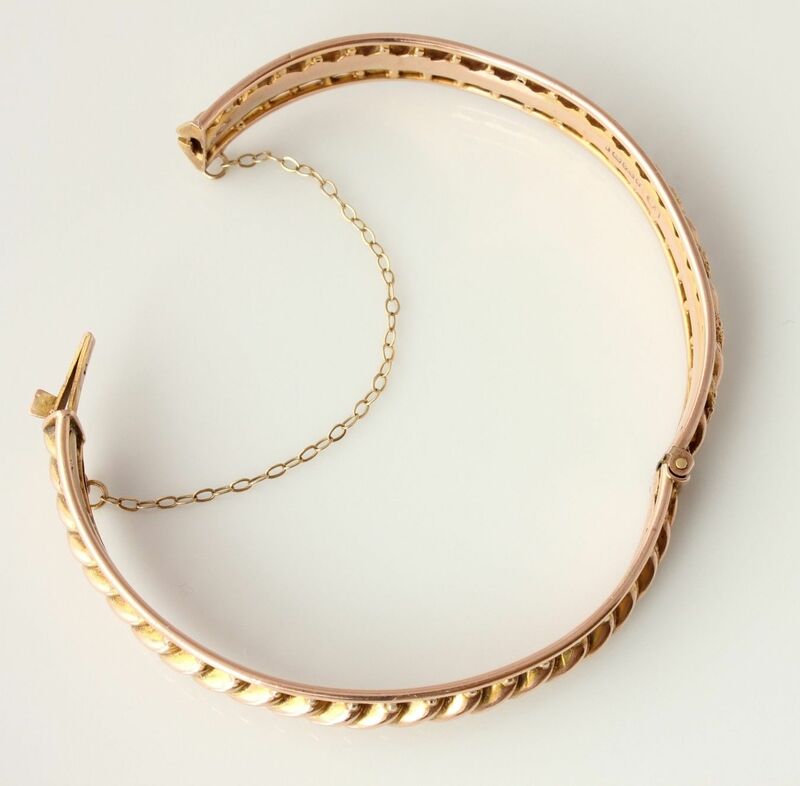 Victorian 9ct Rose Gold Twist Design Bangle Bracelet. Gift Boxed. 1887. 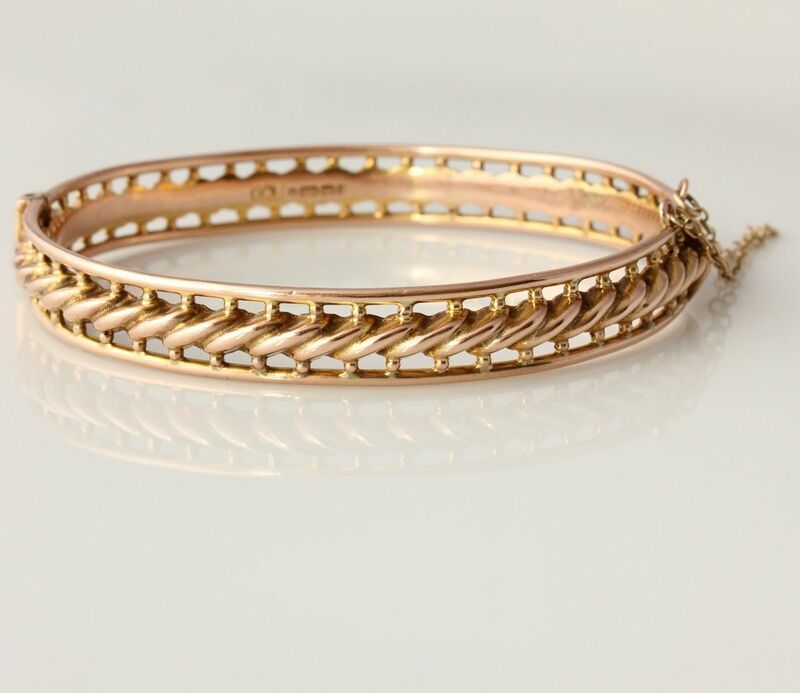 This beautiful antique hinged bangle dates from the late 19th century, is crafted in 9ct rose gold and is designed with a rope-twist design with openwork border. 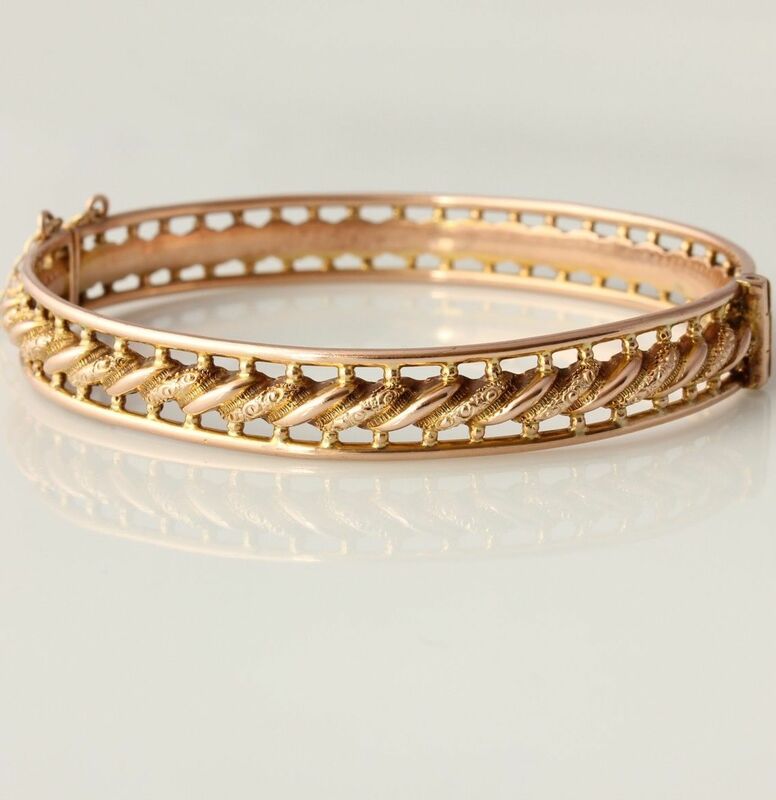 This unusual bangle is hallmarked for 1887 and looks stunning. 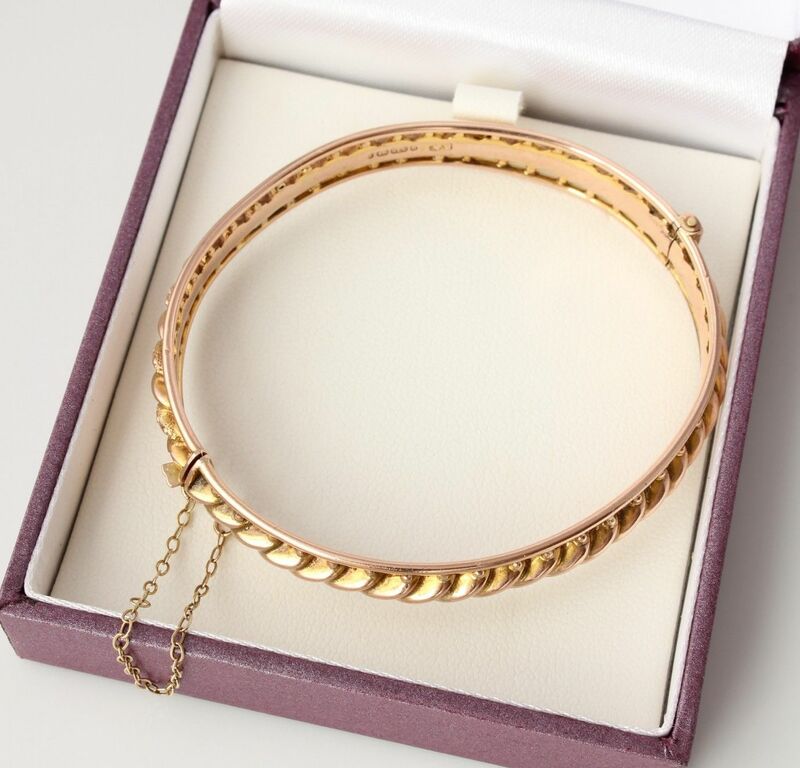 The bangle hinges open for ease of fitting, is fitted with a safety press clasp and has a safety chain for extra security. 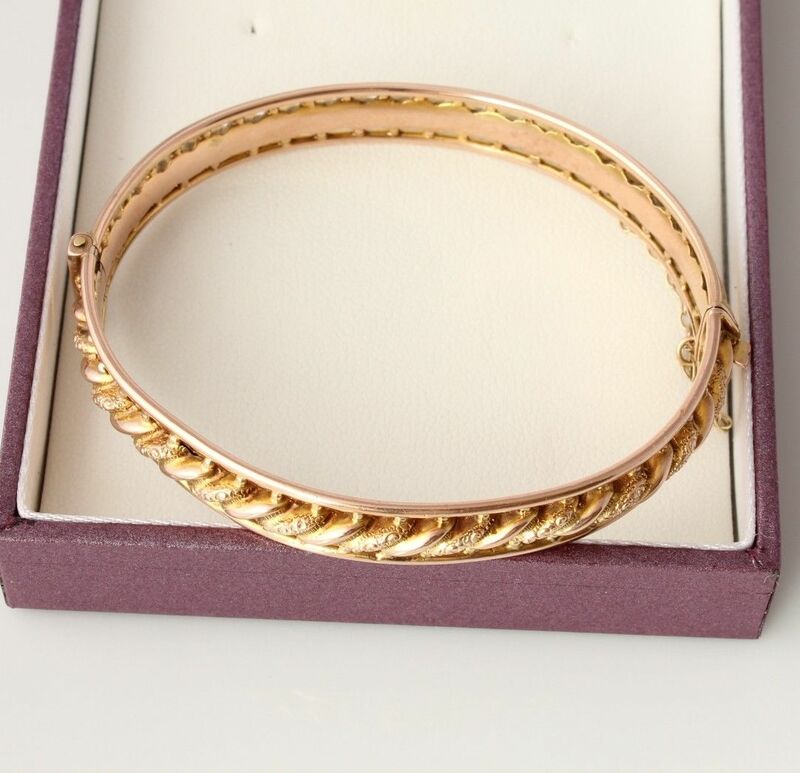 A lovely antique bracelet that would make a really special gift. Hallmarked: Fully hallmarked for 9ct gold, Birmingham, date letter p for 1887. Inner diameter: Length - 5.6 cm - 2 1/4". Width - 5.0 cm - 2". Inner circumference: 16.5 cm (6 1/2") approx. 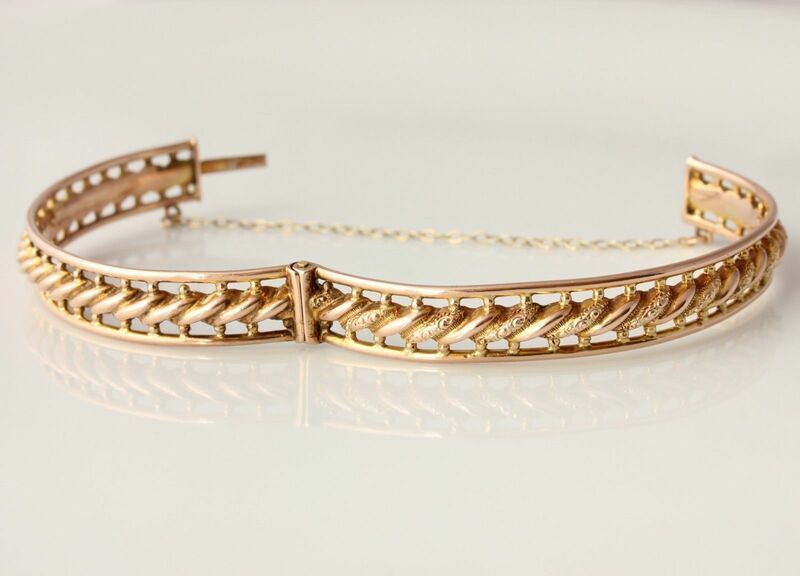 Band width: 8.25 mm - 5/16". Condition: Very good antique condition with signs of use in keeping with age. Professionally cleaned and ready to enjoy. Hallmark is slightly rubbed. Please see pictures. Comes in a gift box.